Have you ever wanted to switch up your looks without doing anything permanent to alter your appearance? A change of hairstyle can make a big difference, but rather than risking a bad haircut or dye job, why not try a wig? Today on the blog I'm sharing a post from Addwigs to help you find your perfect look for the new year! Say goodbye to damaged hair from over styling. Say goodbye to the same boring look you’ve had years. Say goodbye to the insecurity you’ve had when you suffered from hair loss. And say hello to Addwigs. Addwigs is a one-stop-shop for human hair wigs. You can choose from a variety of hair textures, lengths, and styles they offer. And the best part--- their products are made 100% from only the best quality human hairs. It is true that beauty is only skin deep. A woman’s character is far more important than how she looks. But our character is also what makes us want to experiment and achieve the best version of ourselves. It is where we get the urge to get creative and improve our appearance. Wanting to change your hair color, length, and other aspects of your hair can sometimes come with uncertainty and anxiety. Many women go out of a salon happy with their new look only to be disappointed and frustrated weeks or months later because the expensive hair treatment they paid for didn’t hold up to its promise. Let’s face it; repeated exposure to heat and harsh chemicals cause hair damage. I’ve been there; we’ve all been there. And hair takes months if not years to regrow. Damaged hair does not look good and only shakes ones confidence. That’s where Addwigs come in. Addwigs helps you explore your dream hairstyle with natural-looking wigs. Their wigs come with pre-plucked hairlines, which means you will have a hairline with natural baby hairs. People will never even notice you are actually wearing a wig, but only that you look so much better! Many people buy the cheaper lace front wigs but are left disappointed because they can only part their new wig for about three inches. But not with Addwigs, their amazing lace front wig collection can be parted up to six inches! 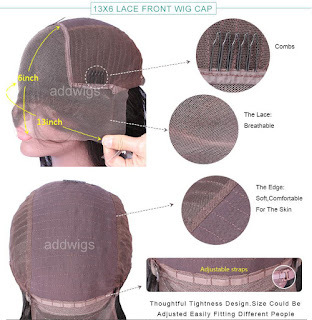 Addwigs’ products are also reasonably priced. I also love how their wig cap is made of soft and breathable material. This is especially important for people who suffer from hair loss. This means the wigs can be worn for long hours with comfort and ease. I love that the Addwigs website also posts realistic photos of their products, so you really know what you are going to get. 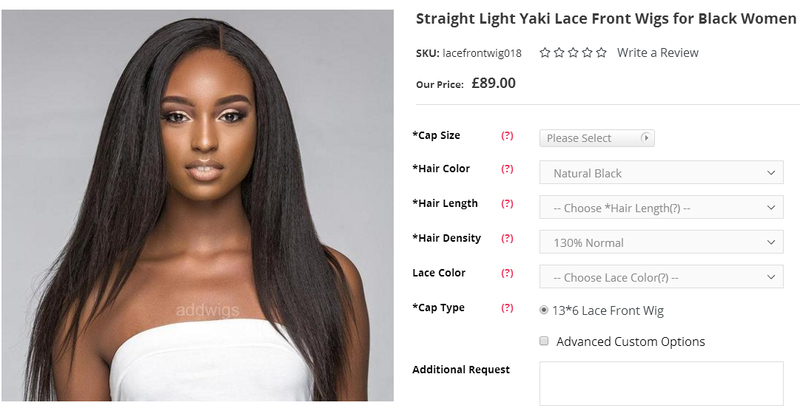 There’s so much room for flexibility when you order a wig-- you can choose the hair length, volume, color and which lace color you prefer. If you have any additional request, they will gladly accommodate them too. There is an expression that a woman’s hair is her crowning glory. A beautiful hair does upgrade a person’s overall look. But the pursuit of beauty should neither be so expensive nor damaging. That’s what Addwigs offers, the perfect hair day without hurting your pocket and your healthy hair.